9/11 has been a go-to point in time for many vaporwave artists. Some choose to focus on the false memories of that day while many choose to focus on the rise of nostalgia with 猫 シ Corp.’s “News at 11” being a prime example. 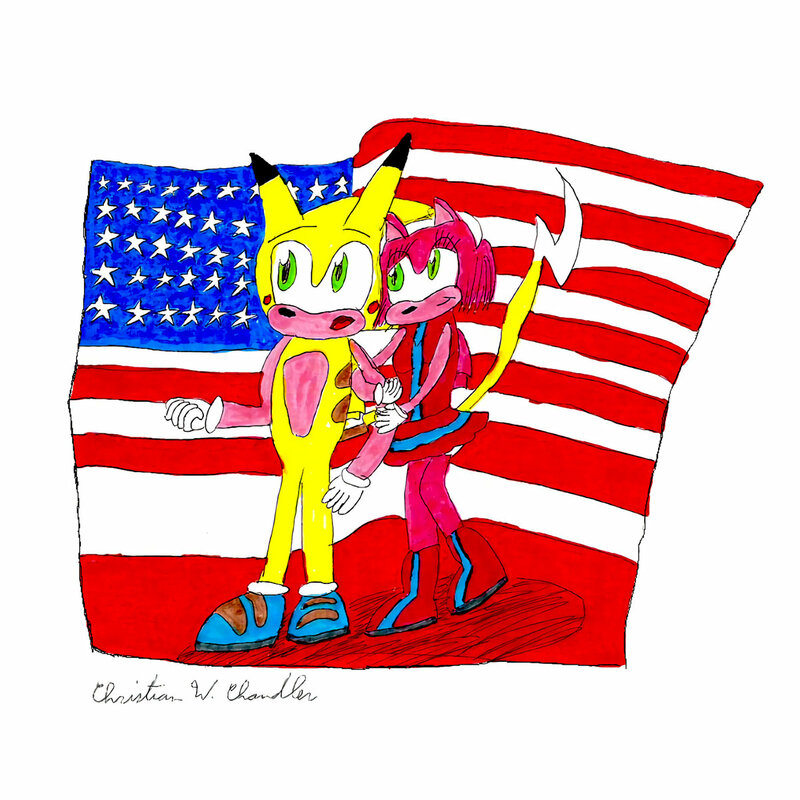 “deep dark trench” is chris†††’s version of a 9/11 vaporwave album and it takes a different direction than all the other 9/11 vaporwave albums released before it. A surprising and unexpected direction. chris††† has always been unexpected with his production work going back to his first releases. “fraiserwave” may be classic-style vaporwave but it’s done in such an abrasive way that you wouldn’t tell it otherwise. That abrasive style has stuck with him throughout his career, evolving throughout his tenure as a vaporwave artist and slowly getting more dark and complex. If “social justice whatever” is chris††† at it’s finest than “deep dark trench” is chris†††’s final form when it comes to his production work. chris††† knows what he’s doing due to his long-term experience. This album packs in as much distortion, disjointedness, unexpectedness and awkwardness as possible through a combination of original instrumentation and sample work. The franticness of many of the tracks will have you on edge thanks to the insane Girl-Talk like chopping and self-referential nature of the songs themselves. Hearing Miley Cyrus’ “Party in the USA” slowed down and put in context of 9/11 is not only groundbreaking but inspiring at the same time; in addition, the awkward addition of chipmunked songs with out-of-place plunderphonics samples makes for interesting listening. There is rarely a somber moment but when they do come, they manage to bring more clarity and understanding to an album that would feel out of place if it weren’t for chris†††’s unique signature style and successful execution skills. Combining modern songs and production styles with a subject as touchy as 9/11 shouldn’t work but it does; it not only reflects the artist’s viewpoint on what 9/11 stood for back then but what it stand for now. It’s hard to touch on subjects like loss, frustration and fear in vaporwave, it’s hard to have Sonic fan-art as the cover of your project and it’s hard to have music that is so abrasive but when you’ve been putting in work for so long and when you’ve been evolving the style for as long as you have, that alone makes this album a success story. It shows that you don’t have to sound like everybody else to express yourself and it also shows that the best expression is one put into the style of the artist rather than the expected sound of the genre itself. That alone makes this album deep. For an artist with tons of successes, this is just one of his successes but it does serve as a tentpole in what appears to be chris††† evolution in his signature style. It’s complex, it’s unique and it’s on-point. While newcomers of “deep dark trench” will be confused by the abrasive sound and the absurd nature of it all, repeat listens will make you like the album and appreciate it for what it is, an honest expression in its purest form. It’s not just another 9/11 album, it’s another chris††† masterpiece.